The Audi A6 is the luxury brand’s mid-size sedan, competing with the likes of the BMW 5 Series and Mercedes-Benz E-Class, among others. 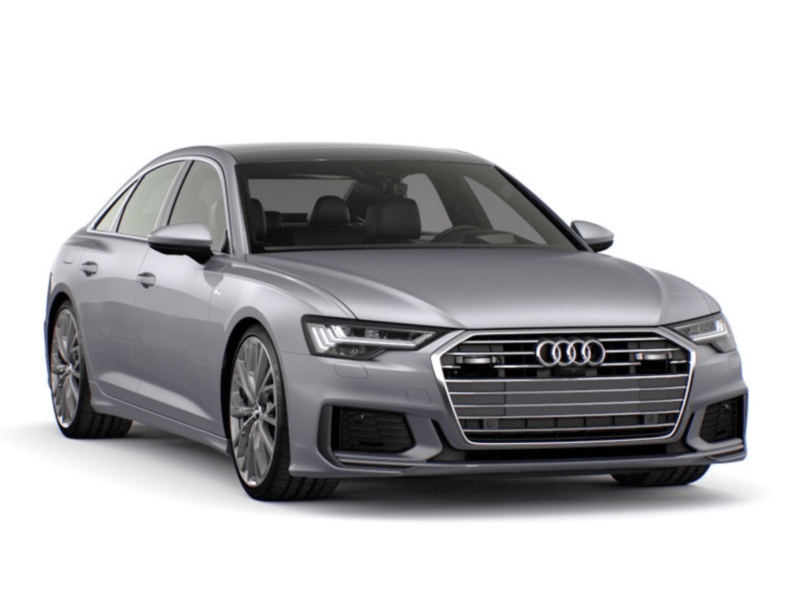 For 2019 the A6 was completely redesigned and features advanced infotainment and safety tech borrowed from the all-new full-size Audi A8. With a starting price of $58,900, the A6 is available in sedan form and comes with standard all-wheel-drive and a turbocharged six-cylinder engine. A four-cylinder is expected to be offered soon and that model will come with a lower starting price. Pros: Brimming with the latest tech features, the 2019 Audi A6 interior represents the very latest in advanced automotive interfaces. Conservative styling might not set souls on fire, but it will age well throughout the years. The standard mild hybrid drivetrain boosts cruising efficiency without impacting performance. Cons: The A6 has a stiffer ride than some competitors and all of its technology could overwhelm a driver’s senses in the short term and overwhelm their bank account in the long term, as the parts begin to wear and require maintenance. This might be a better car to lease than buy. Looks Best In: With the exception of Tango Red, the exterior choice for the 2019 Audi A6 are rather plain. Firmament Blue is a dark blue that nicely accentuates the chrome ornamentation found through the exterior. Inside, Okapi Brown is a warm earth tone that complements the plentiful walnut wood trim adorning the cabin. Competition: While the aforementioned BMW 5 Series and Mercedes-Benz E-Class are the Audi A6’s primary competitors, there are also a number of other mid-size luxury sedans that it stacks up against. The recently redesigned Volvo S90 and Genesis G80 are both stylish alternatives. The aging Lexus GS doesn’t offer cutting-edge technology, however has a strong reliability record for shoppers looking to keep their vehicle for the long haul. Safety Score: As of publication date the 2019 version of the Audi A6 has not yet been tested by the Insurance Institute for Highway Safety. Summary: The 2019 Audi A6 is a beautifully rendered luxury sedan. Shoppers interested in the latest advanced safety and infotainment features will revel in all that the A6 has to offer. Be sure the try the cockpit interface out on a test drive and also take the car on a long test drive to ensure the firm ride is to your liking.